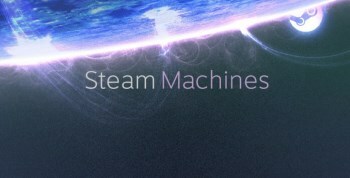 Valve has revealed the system specs for the 300 Steam Machine prototypes it will distribute next year. The Steam Machines announced by Valve last week are essentially PCs optimized for the living room, and you can't talk about PCs for very long without talking about specs. So today, Valve shone some light on what the lucky 300 can expect. "To be clear, this design is not meant to serve the needs of all of the tens of millions of Steam users. It may, however, be the kind of machine that a significant percentage of Steam users would actually want to purchase - those who want plenty of performance in a high-end living room package," the post says. "Many others would opt for machines that have been more carefully designed to cost less, or to be tiny, or super quiet, and there will be Steam Machines that fit those descriptions." That's some pretty sweet hardware, but I'm not sure what niche Valve is trying to fill with it. There's no way to build a killer rig like this and stay competitive with consoles on price, and the enthusiast PC gamers who might be interested in such a thing are also, generally speaking, the ones most likely to prefer simply building a custom PC of their own. More interesting is the promise of hardware for PC gamers who already have solid rigs and "would like to have a way to bridge the gap into the living room without giving up their existing hardware and without spending lots of money." Valve said it's working on ways to do that with its in-home streaming technology, and would "talk more about that in the future."